Here's what the advertising for the iPhone 9 might look like. The 6.1-inch iPhone that’s expected to be unveiled next week has the potential to become Apple’s top seller. Advertising will play a big part of making it so, and a clever graphic artist went ahead and created a TV ad for this upcoming large but inexpensive iOS smartphone. The ad uses Apple’s typical style: an iPhone moving in front of a white background, with a catchy song playing. However, unlike an actual iPhone ad, the artist who calls himself Lee gungho from ConceptsiPhone mixed the 2018 iPad Pro into his video in a way that Apple never would. All of Apple’s 2018 iPhone models are expected to resemble the iPhone X. The 6.1-inch model in the concept TV ad is rumored to be significantly cheaper than the upcoming 6.5- or 5.8-inch models, as it will have a LCD not an OLED display. Other changes, like less RAM, will also lower the price. It might not have a new Apple A12 processor, for example. And no 3d Touch. Still, leaving out the cutting-edge features gives it an estimated cost somewhere between $600 and $700. That could really drive sales of the iPhone 9, as it’s allegedly been dubbed. And Apple isn’t leaving out everything. There’ll be a range of color options. And Face ID, enabling the use of Animoji and Memoji. 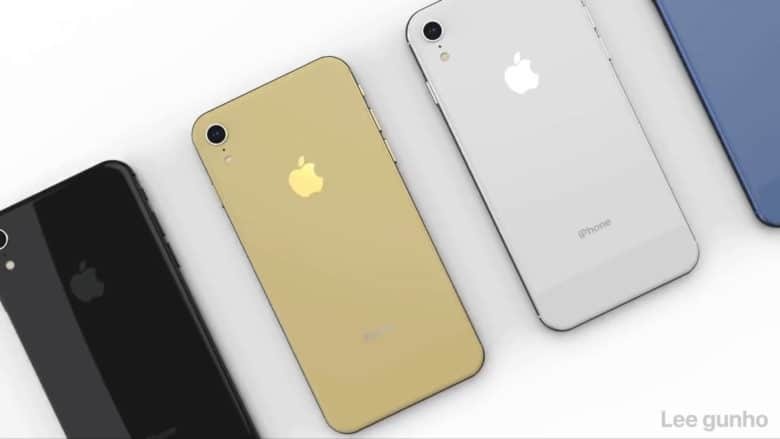 The product should be announced on September 12, along with the two other 2018 models, the iPhone XS and iPhone XS Plus. However, those devices will be released later this month, while a production problem supposedly will delay the introduction of the iPhone 9 until November.